For bottling or repacking a new or existing product range, we will help you create the Most Unexceptional possible end product. 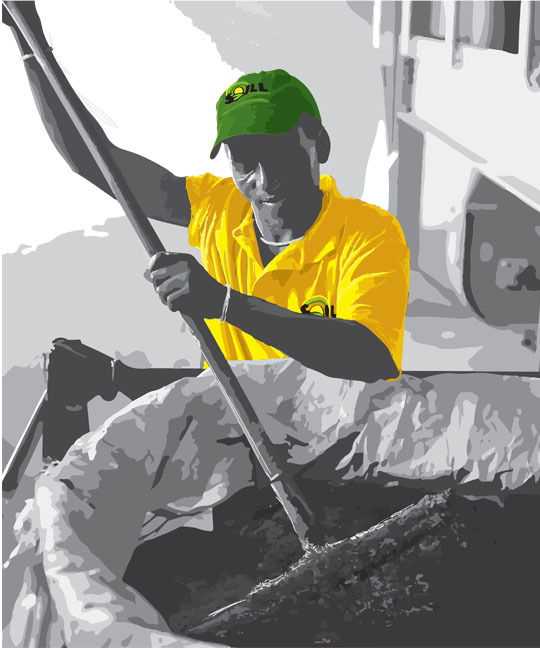 Olive, canola, sunflower, soy or any other large volume requirements purchase superior quality oil at bulk prices. Sauces; cooking oils; salad dressings or whatever product range you want to launch, we have you covered. We are involved every step of the way when it comes to the canola we use in our products. To ensure the highest quality product, we go the extra mile in testing the seed we use and the product we deliver. Canola Oil, Corn Oil, Grapeseed Oil, Olive Oil, Sunflower Oil, Soya Oil, High Oleic Sunflower Oil and High Oleic Safflower Oil. * Oils are available as crude, cold pressed or refined and can be blended to any desired specification. At our modern extraction and refining facility in Swellendam, we procure all of the locally grown canola seed. To ensure that production continues right through the year, we make use of local raw materials thus ensuring a consistent and continuous supply. SOILL has a modern, on-site laboratory that performs 58 400 quality checks per year on both incoming canola seed and outgoing refined oil. Our products are FSSC 22000, HACCP, Halaal and Kosher Certified and our canola oil, in particular, is proudly endorsed by both CANSA and the Heart & Stroke Foundation of SA. Along with SOILL’s premium retail brand, B-well, we also able to create custom products for clients. Our New Product Development department is committed to creating high quality products that meet our clients’ specific needs, whether it be retail, bulk, food services and wholesale product solutions. SOILL dedicates a sales resource to each key account. Our fleet of long-haul trucks operate 365 days a year and offer nationwide distribution. We pride ourselves in being the supplier of choice to some of South Africa’s largest & most trusted brands. A dedicated Marketing Department gives support to the canola category and the different brands at our disposal. New Product Development is one of the creative hubs of Southern Oil, where we translate foodie ideas, requests and suggestions into reality. Our main focus is the formulation of mayonnaise and oil-based products according to specific requirements such as functionality, high in Omega 3, allergen free, low fat and carb clever to name a few. In a nutshell, the NPD process takes a product from its creative start to its on-shelf presence via a step-by-step NPD process, which helps to ensure all manufacturing requirements, product certifications, legislation, packaging and costing requirements are adhered to. Bulk oil supply is the foundation upon which SOILL has grown as a business. We supply both crude and refined oil to major enterprises in the food manufacturing and nutrition industries, as well as oil for the formulation of feed for livestock and domestic animals. The large volumes are transported in SOILL’s own tankers and we move approximately 5000 tonnes of bulk oil per month. Along with Canola Oil, SOILL also offers Corn Oil, Grapeseed Oil, Olive Oil, Sunflower Oil, Soya Oil, High Oleic Sunflower Oil and High Oleic Safflower Oil. Bottling at the SOILL plant first began in December 2003, with over a thousand boxes of B-well products packed by hand. Over the years, bottling and repacking has grown exponentially as clients like Woolworths, Pick n Pay and Spar entrust us with specific product packaging. In 2014, development of the facility included new machinery for B-well mayonnaise production. Today, SOILL bottles 3000 tonnes of oil per month and demand keeps increasing. An exciting year lays ahead for bottling and repacking as the department will be receiving upgrades for a new wave of growth in packaged canola oil and canola-based products.